For many reasons (one of them being the incredible value versus quality), my favorite region of Italy is the Alto Adige region – where one of my most admired red varietals is indigenous to the area: Lagrein. Other commonly known red and white varietals that the region is known for include Pinot Noir, Merlot, Cabernet Sauvignon, Cabernet Franc, Pinot Grigio, Gewürztraminer, Pinot Bianco, and Chardonnay. A gorgeous Lagrein from my favorite Italian region: Alto Adige – where Lagrein is indigenous to this region. Trentino-Alto Adige, also known as The Alpine Border, is situated in the very northeastern portion of Italy, bordering Austria and Switzerland. Alto Adige is to the north of Trentino, and the entire region is graced with breathtaking mountainous peaks. When it comes to the areas wine industry, the biggest difference between Alto Adige and Trentino is that wine production in Alto Adige is composed mostly by small family owned and operated wineries, while Trentino has a large number of wine growers and producers who joined considerably comprehensive cooperatives where wine is produced in large numbers and is quite consistent year in, year out. The famed Elena Walch, who is known for her efforts in bringing the region’s quality of wines up to par, makes a Lagrein that is my absolute favorite value red wine from Italy. I’ve seen it for as low as $11 dollars a bottle when it could be easily worth $35 dollars or more. She also makes an incredible earth-driven Merlot, a varietal I rarely drink because I find many lack the complex qualities that I love in other red varietals. But, when I find a Merlot that showcases qualities of the earth from where it came, I take note. 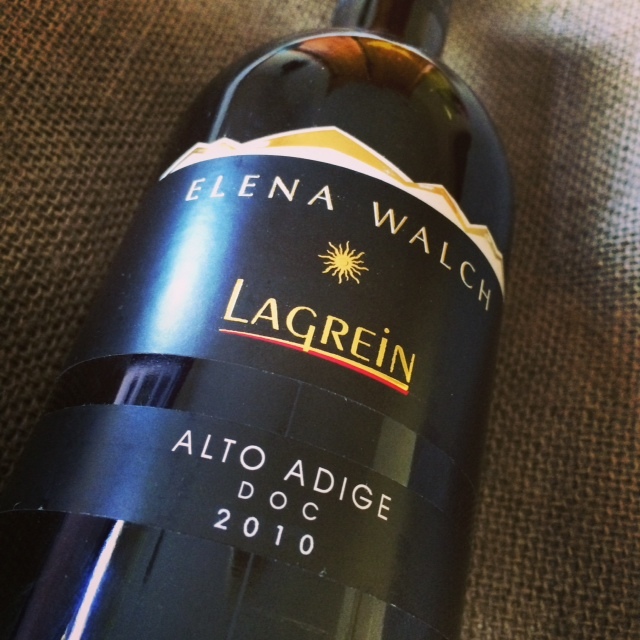 Elena Walch 2010 Lagrein is a super sophisticated and elegant wine with red and dark berry fruits combined with lovely white pepper notes and a hint of dark chocolate. Complex notes and great depth on the front of the palate mellows mid palate into a juicy, berry beauty with soft, elegant tannins and a lengthy, divine finish that’s fresh, pure and focused. 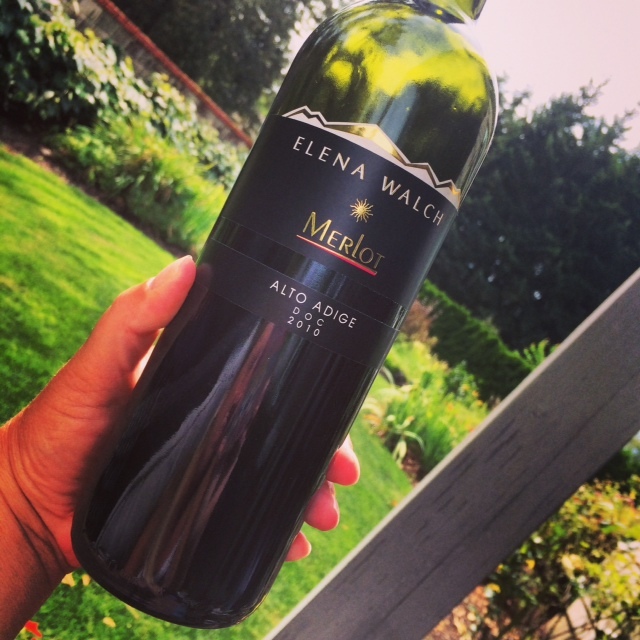 Elena Walch 2010 Merlot is a beauty of a Merlot with lovely complex earth-driven qualities of ripe berries, spice and some dusty nuances. Super smooth tannins give a lush and silky mouthfeel while acidity rounds out the berry fruit characteristics. Mid palate juiciness gives it an elegant, soft and totally palate pleasing finish. This is not a typical Merlot. I had previously tried multiple white wines from the Alto Adige region and was instantly lured into the region due to the top quality versus the value – Alto Adige instantly topped my list of areas to visit in Italy. Since then, I’ve had several Lagreins that I have absolutely loved, but the Elena Walch Lagrein is superb and most certainly stands out from the crowd. I am determined to some day have a glass of Lagrein in hand, while standing in Alto Adige looking out over the Alps that majestically drape across the landscape. 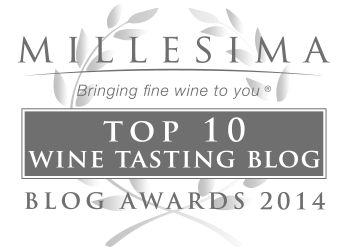 *These wines were provided for review purposes, thank you for the opportunity.